The holy grail for any business is making the customer journey as smooth and seamless as possible. In an ideal world, all customer interaction, including authentication, would be so easy that it would go practically unnoticed. Today, that “ideal” situation is becoming more of a requirement for businesses as customer expectations for frictionless commerce grow higher every day, while their patience for onerous authentication processes declines. Businesses need to leverage a new, invisible approach to assure digital identities with direct source, real-time mobile carrier intelligence for a smooth, effortless and more secure customer journey. 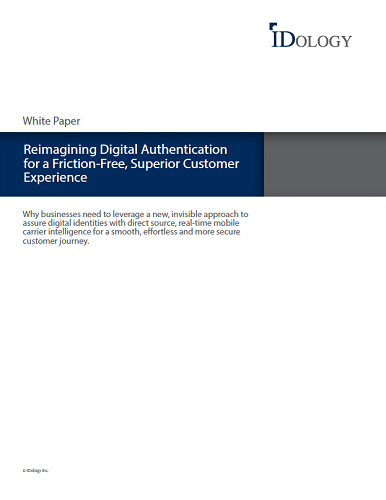 Download our white paper to learn more.